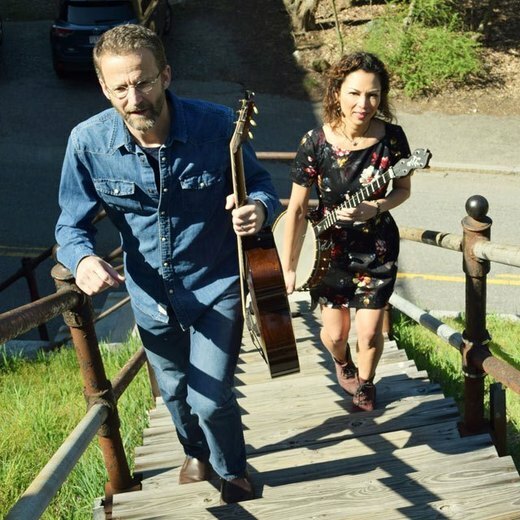 Acoustic duo, husband and wife team, Monique Byrne and Andy Rogovin, bring leather and lace harmonies and complimentary interweaving guitar work to beautiful contemporary folk songs written about the challenges, costs and joys of relationships in today's world. Drawing from the sounds of Gillian Welch/David Rawlings, The Civil Wars and Johnny and June Carter Cash, Crowes Pasture's music is intimate and heartfelt, but also rhythmic and haunting. The duo is based in the Greater Boston area and plays at festivals throughout New England. Their EP, "Best Believe," was released in July 2015.